Built with blazingly fast Thunderbolt or Thunderbolt 2 technology, UltraStudio lets you work with the highest quality video resolutions all the way up to Ultra HD 4K! Choose from a range of rack mount and portable UltraStudio for Thunderbolt models featuring SDI, HDMI and analog video connections. UltraStudio works with all your favorite video software such as DaVinci Resolve, Final Cut Pro, Avid Media Composer and Adobe Creative Suite. UltraStudio are QuickTime and WDM based and work with any Mac OS X and Windows video software! The UltraStudio 4K Extreme features a built in multi format hardware encoder that lets you capture to H.265. H.265 delivers amazing quality and is the compression standard for distributing Ultra HD content online. You can also use H.265 compression for SD and HD video giving you smaller files at higher quality than other compression formats. The built-in hardware encoder is designed to be upgradable so you get a future proof solution that can add new formats via software updates as they become available. 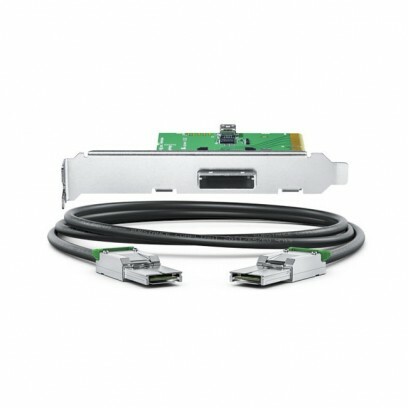 Built on revolutionary Thunderbolt™ technology, UltraStudio uses a blazingly fast single cable connection to your computer that has the bandwidth to handle the highest resolution video formats easily! UltraStudio 4K supports popular compressed video formats such as ProRes and DNxHD as well as 10-bit uncompressed video, so you’re not locked into a single file format. When working with uncompressed video all captured images are a perfect pixel-for-pixel clone of the source without any quality loss.